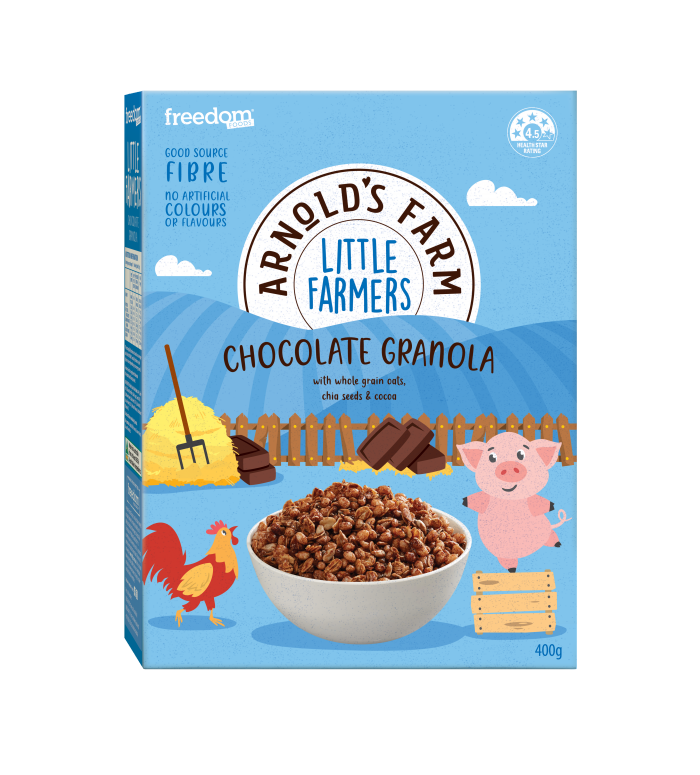 With a source of fibre and no artificial colours or flavours, Little Farmers Granola is a tasty way to start your day. 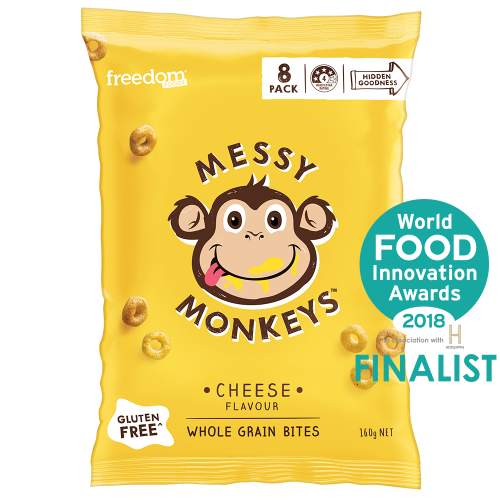 Whole Grain Rolled Oats (44%), Rice Puffs, (Rice Flour, Sugar, Salt, Golden Syrup), Chicory Root Fibre, Raw Sugar, Seeds (6%) (Sunflower Seeds, Chia Seeds (1.7%)), Canola Oil, Cocoa Powder (2.3%), Natural Flavour, Antioxidant (Vitamin E). 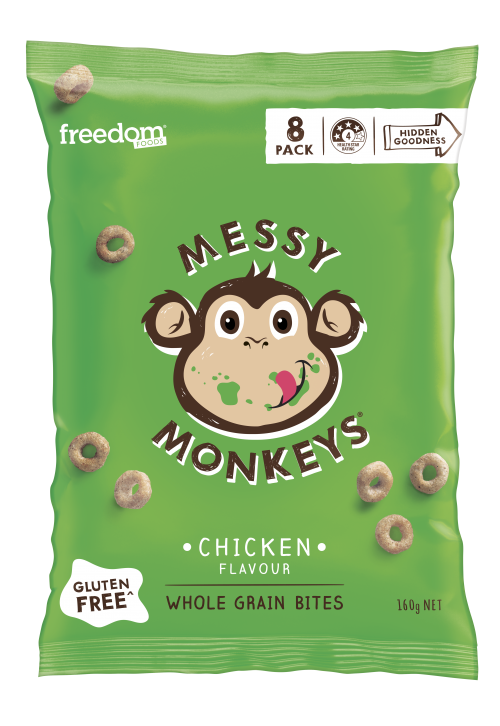 Made with the HIDDEN GOODNESS of sorghum & quinoa to deliver 11%* of kids’ daily fibre needs. *Per 20g serve. 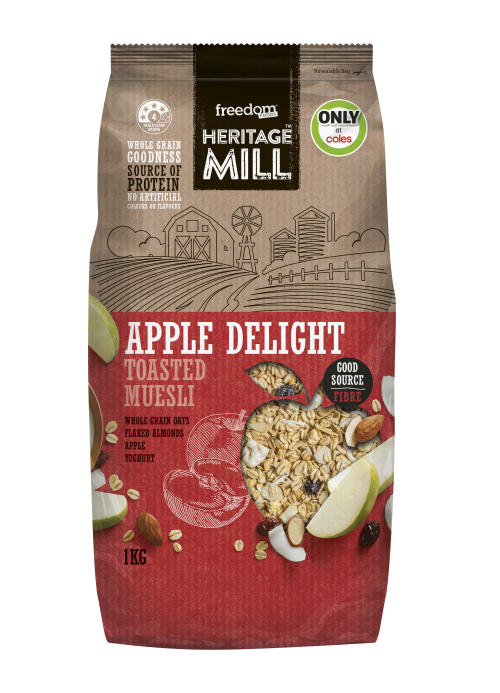 As per the Nutrient Reference Values for Australia and New Zealand endorsed by NHMRC (Australian National Health and Medical Research Council) on 9 September 2005.